Now, I'm someone who looooves body creams. The ingredients list of this Liz Earle body lotion got me pretty excited so I had to go ahead and give it a whirl. Shea butter and avocado oil help to nourish the skin and lock in moisture. I use avocado oil regularly on my hair so I was eager to try it out on my body. This cream also contains echinacea and hops extract as well as orange, lavender and geranium essential oils. It smells beautiful and fragrant and soaks into the skin well. 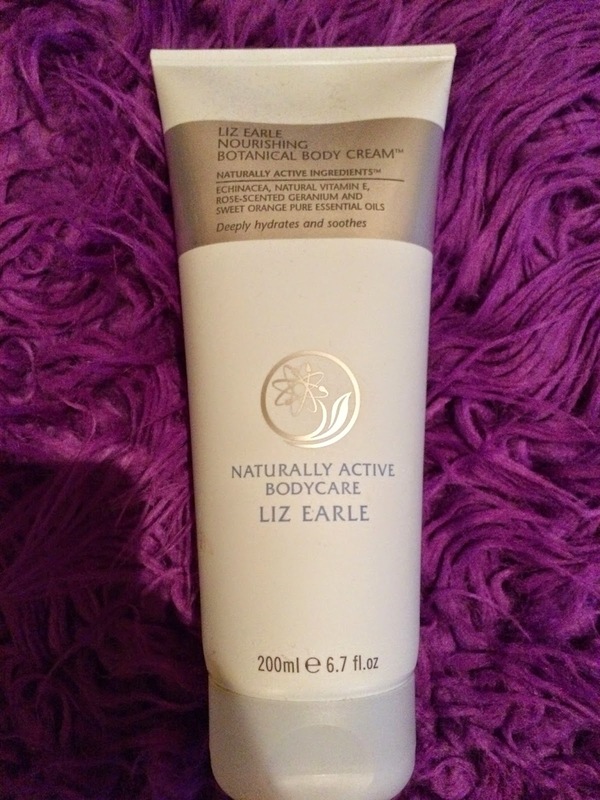 I enjoy using this body cream and I'm impressed by the mostly-natural ingredients list. I do feel like it locks a lot of moisture in for a couple of hours after using this. However, I was expecting to be wow-ed because of the price tag and although it is a pleasure to use, I personally do not see me repurchasing it due to the price. Do not be put off though! It's a great body cream which has a beautiful scent. I just expected miracles and I probably shouldn't have.